Well! It happened again as I knew it would at some stage. Life reared its head and dragged me away from the computer and writing pads so for the past couple of weeks I've done next to no writing. However! It hasn't been all negatives, I've been able to get away and explore places I've never been to which of course has sparked more ideas for stories (why do we only have 24 hours in the day?). I've also managed to get lots of other work done as well as still managing to keep relatively organised. So what next? 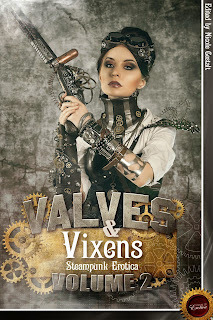 Well I've got a lot more writing to get done and I've got some outstanding submissions I've got to get work done on but I'm also fleshing out an idea for a book staring the totally dashing and over the top Captain Barnabas (you can read a little about him in Valves & Vixens Book 1). Then there is the blogs, I've got a few in planning and will be getting them up regularly all being well. In other news I rarely make really serious posts however the devastation in Nepal from the recent earthquakes can't really be ignored. Coming Together: Through the Storm was put together to raise money for people in the Philippines the proceeds of the sales all go toward Mercy Corps. When I put the anthology together I wanted the anthology to benefit not just the Philippines but also many other places that Mercy Corps work in. They have been in Nepal since the first earthquake and will be for a long time. 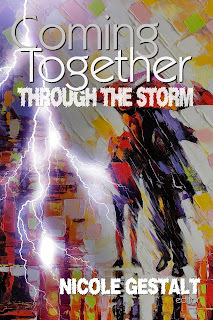 All proceeds from the sale of Coming Together: Through the Storm go to Mercy Corps so buying it will help Mercy Corps and Nepal as well as the continued help in the Philippines. So why not donate some money and get some great stories to read at the same time!